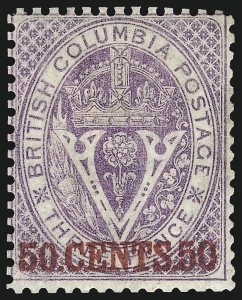 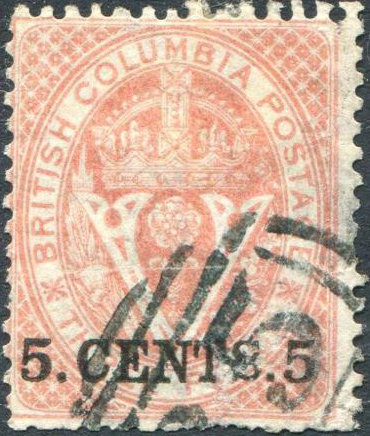 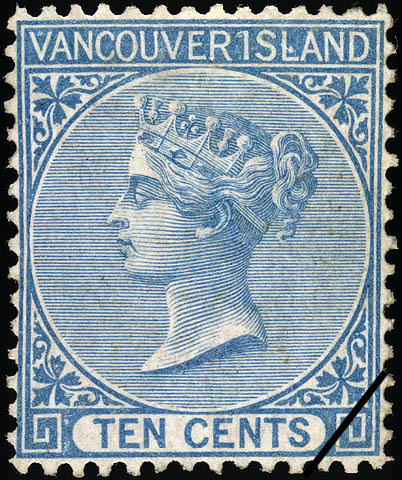 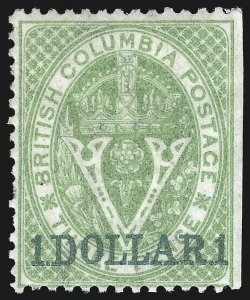 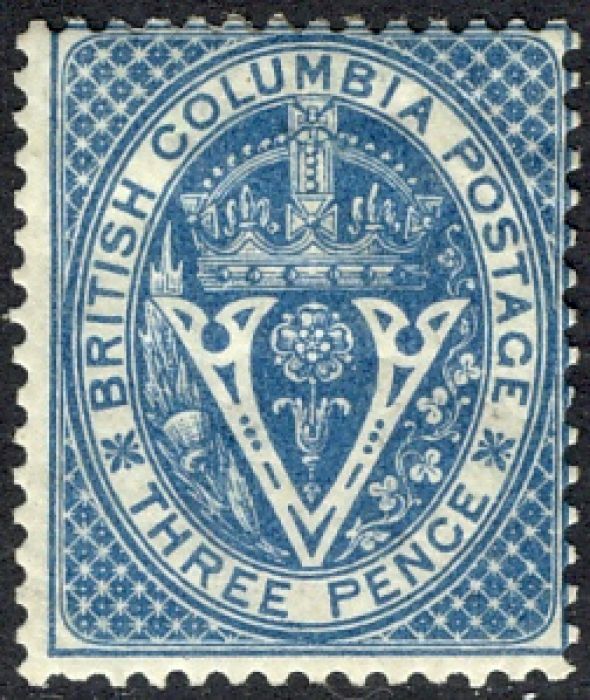 The catalog treatment of eleven years of British Columbia and Vancouver Island’s eighteen stamps (18 in Scott, 19 in Gibbons) seems unnecessarily complicated. 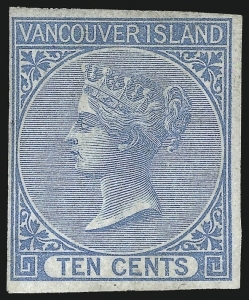 The first was not issued; they are all expensive; some were for BC&VI ( SC1-2, SG2-3), some for BC (Sc7-18, SG21-33), some for VI (Sc3-6, SG11-14); they vary between pence, cents and overprints of one on the other. 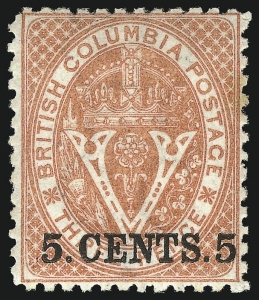 The earliest known use of Scott #2 is July 30, 1860. 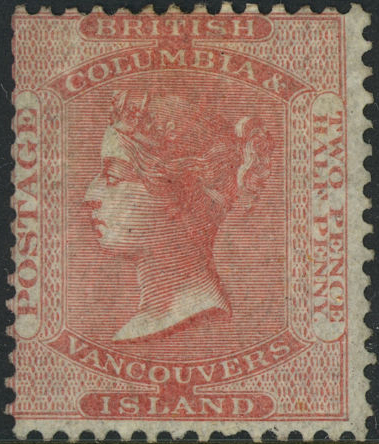 Vancouver Island was made a colony in 1849. 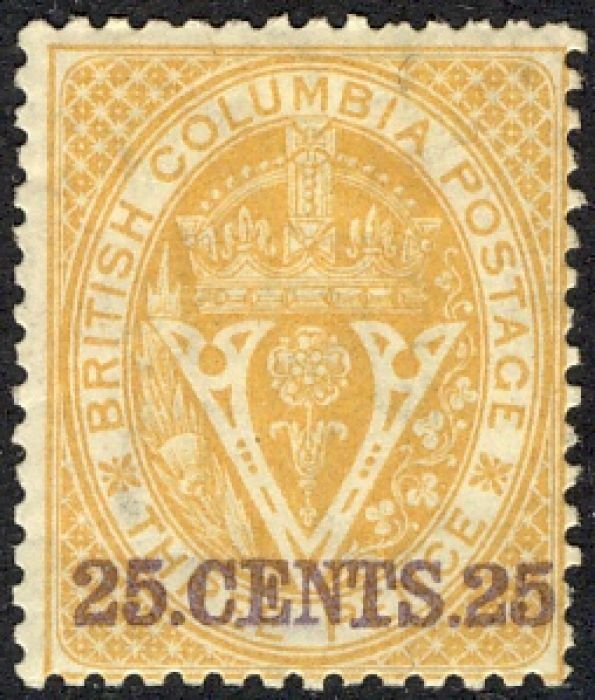 British Columbia was made a separate colony after the Fraser River Gold Rush in 1858. 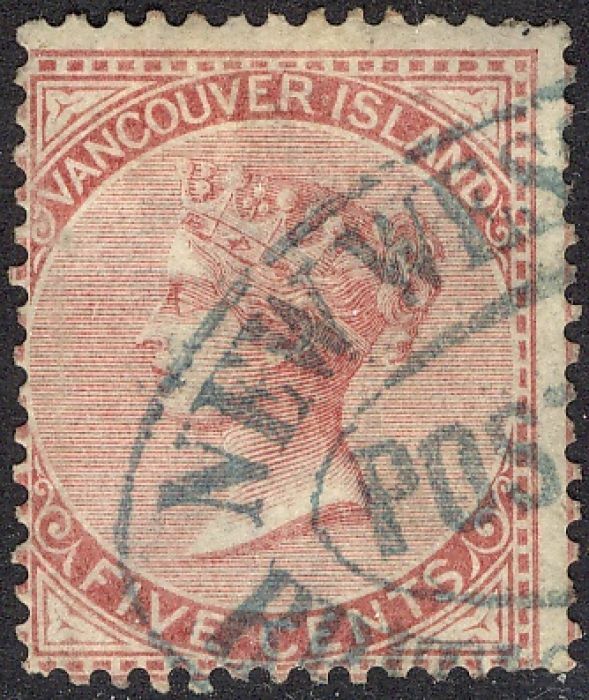 It was earlier known as New Caledonia. 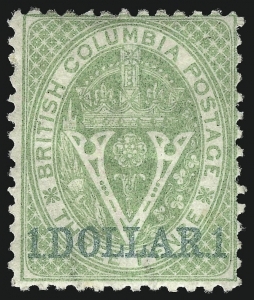 The two colonies united in 1866 under the name of British Columbia, converted to the dollar currency in the same year, and in 1871 became a province of the Dominion. 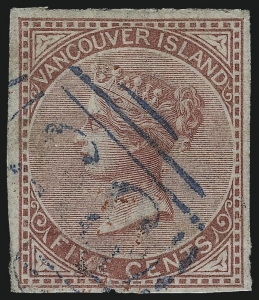 The issue numbers are taken from the Canadian Postal Archive. 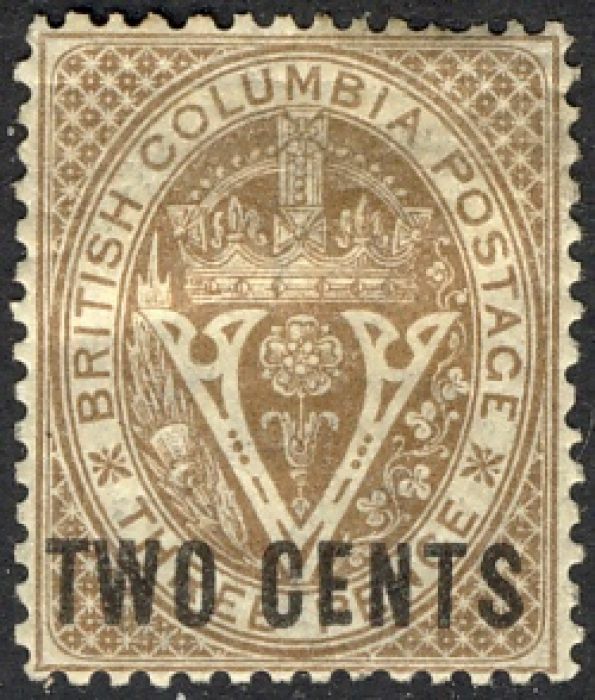 It is not clear whether the numbers for the BC issues are the totals for both perforations. 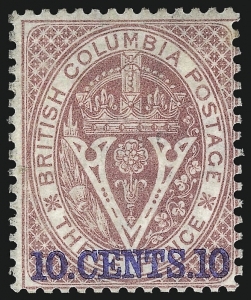 Please see the overview of Canada page for more on Canada and the colonies that issued stamps.